Workshop Digital is nestled amid a hotbed of creativity. With VCU being home to the #1 ranked arts program among public universities in the nation, our city is constantly nurturing some of the most talented creatives in the country. So it’s no surprise that the breweries, restaurants, and other businesses making a name for themselves in Richmond and beyond are supported by beautiful and thoughtful design, a lot of it made by designers right here in RVA. Below are a few of my favorite designs from Richmond based companies and/or products. 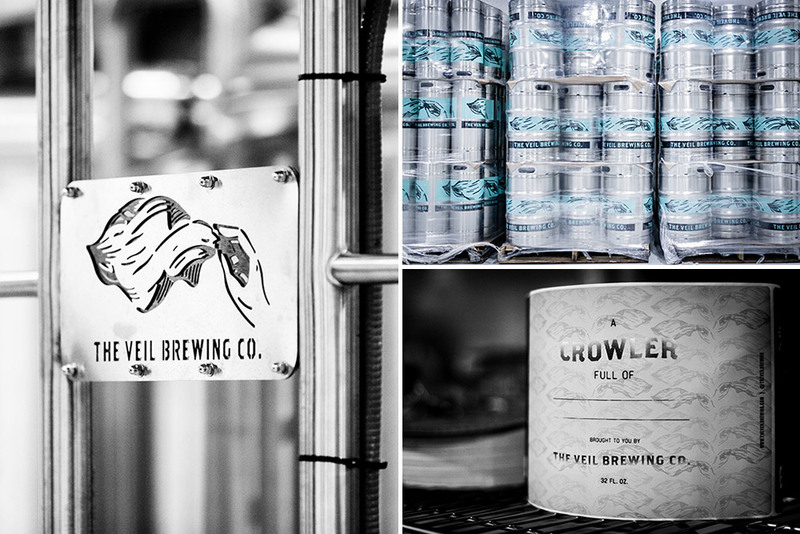 Out of the now countless breweries, cideries, and now meaderies in Richmond, The Veil Brewing Co. is one of the youngest, yet one of the most widely popular. Having barely been open for a year, their beer has quickly become regarded as some of the best in town and even in the country. In addition to their juicy, unfiltered IPAs, their logo and packaging design quickly found itself among my favorites. Created by local design powerhouse Skirven & Croft, The Veil’s brand identity is quirky and unpredictable, yet comfortably consistent. The logo’s tarot card-esque illustration (of a veil being lifted) matches the ambiance of the taproom; dark, sultry, a little bit spooky (taxidermied animals flank the black walls of the room, among other decorative oddities). With a rotating lineup of speciality brews, Skirven & Croft continues to present new opportunities to surprise drinkers with new illustrations and can designs. One of my favorites, though, is staple brew Master Shredder’s can, which features a badass rock’n’roll rat (alluding to Teenage Mutant Ninja Turtles character by the same name) shredding what appears to be a hot solo on an electric guitar. Keep up with The Veil on social media to see what Skirven & Croft drafts up for their next beer! Images via Skirven & Croft. 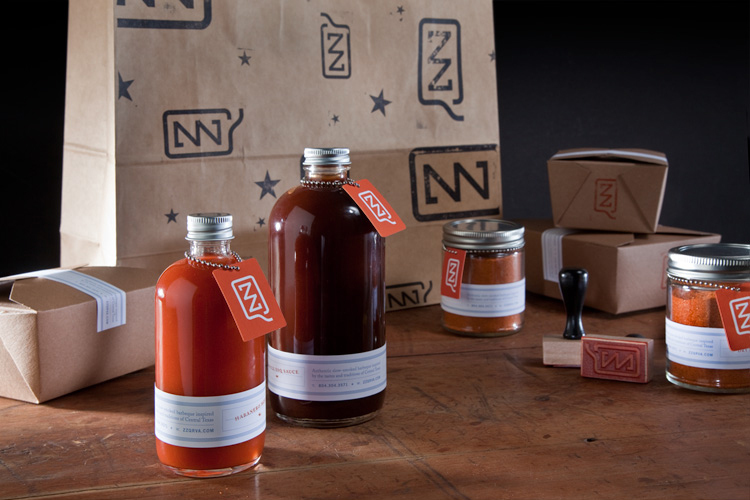 ZZQ serves up smoked meats and and barbecue sauces in the style of traditional Texas barbecue. Texas native, Chris Fultz started up the craft barbecue operation, which was onset by a number of disappointing barbecue experiences after moving to Virginia to pursue a career in architecture. ZZQ hired design studio Karnes Coffey for their branding needs. 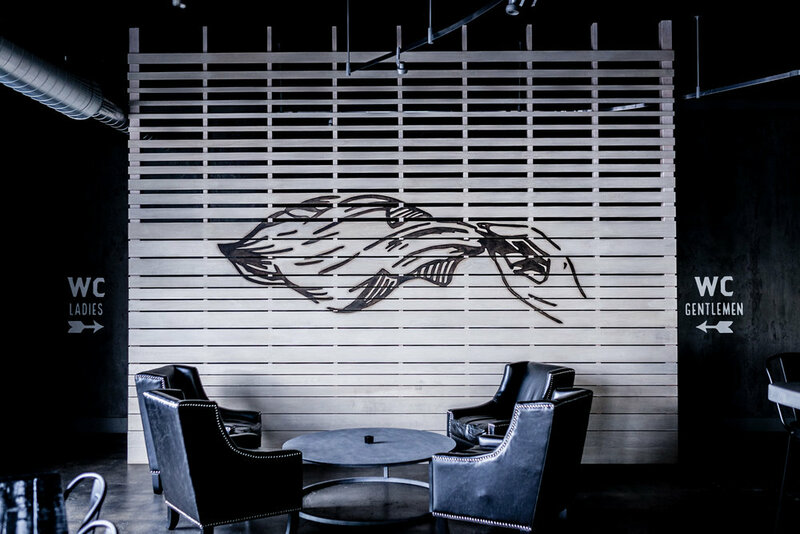 The logo is clean and modern while still invoking the regionality and history associated with Texas barbecue; the Q wraps around the double Z’s like a lasso, resembling designs one might find on branded livestock. 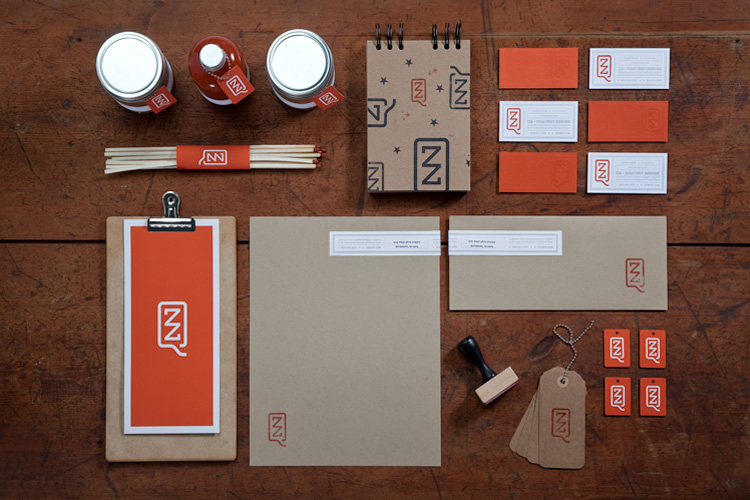 The color palette pulls from the orange, red, and brown hues of the sauces and meats the company sells and the use of physical material (metal, inked stamps, letterpress) in this identity system give the branding (pun intended) an added layer of authenticity. Coffee is my vice of choice. Heck, it’s just my favorite liquid (no offense, water, giver of life). Here in Richmond, we’re spoiled by several amazing coffee roasters. 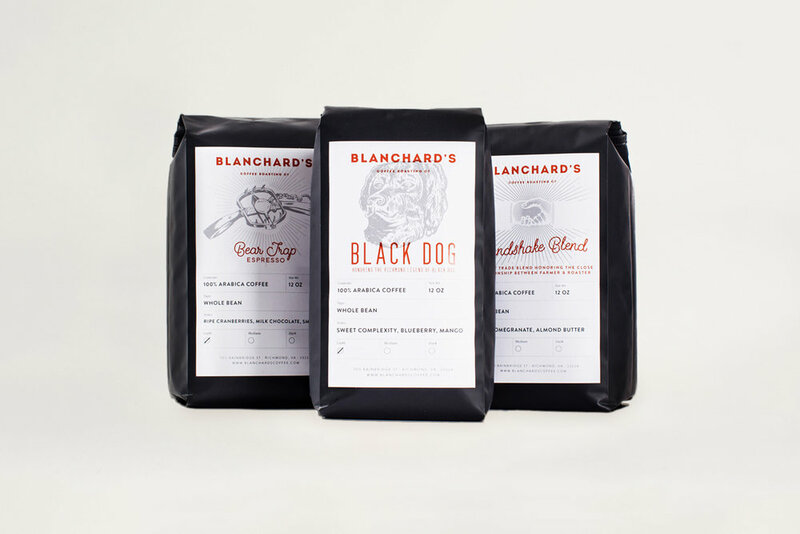 Lamplighter, Black Hand, and Blanchard’s (which we drink here at Workshop) are all staples in every Richmond coffee lover’s daily lives. 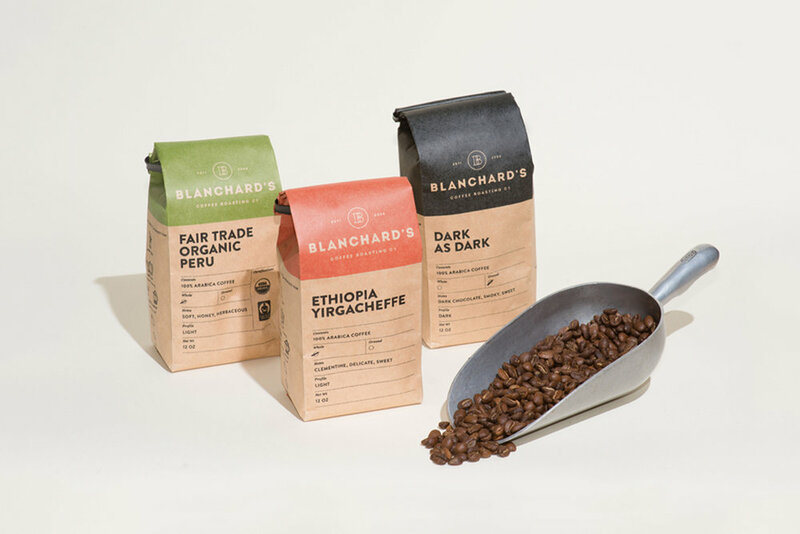 Blanchard’s Coffee Roasting Company has been roasting those sweet beans in Richmond since 2005, and recently decided on a complete brand redesign. Once again, the talented duo at Skirven & Croft were called to take on this branding challenge. Including a modernized set of logos and iconography, a package design system that allows for both flexibility and consistency, and unique designs for special roasts, the new branding is super clean. Subtle touches like occasional underlined superscript characters recall vintage sign making styles and mercantile designs. The packaging for speciality roasts like Black Dog and Handshake feature custom illustrations by Skirven & Croft’s, Tim Skirven. 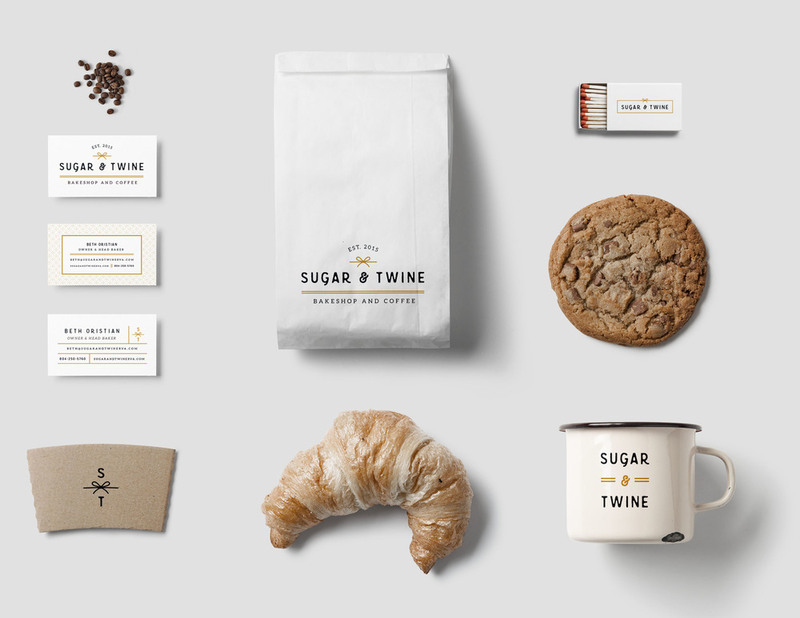 Sugar & Twine: Brand Identity by Campfire & Co.
Tucked among the shops and restaurants of Richmond’s Carytown, you’ll find Sugar & Twine, a small coffeeshop and bakery with all of your coffee related needs, pastries, cookies, and delicious breakfast sandwiches. Richmond based studio, Campfire & Co., designed the brand identity and interior space, which has a light, airy feel (like a warm, flaky croissant). Campfire & Co.’s work provides Sugar & Twine a comfortable and inviting atmosphere for folks to read, study, work, and chat. 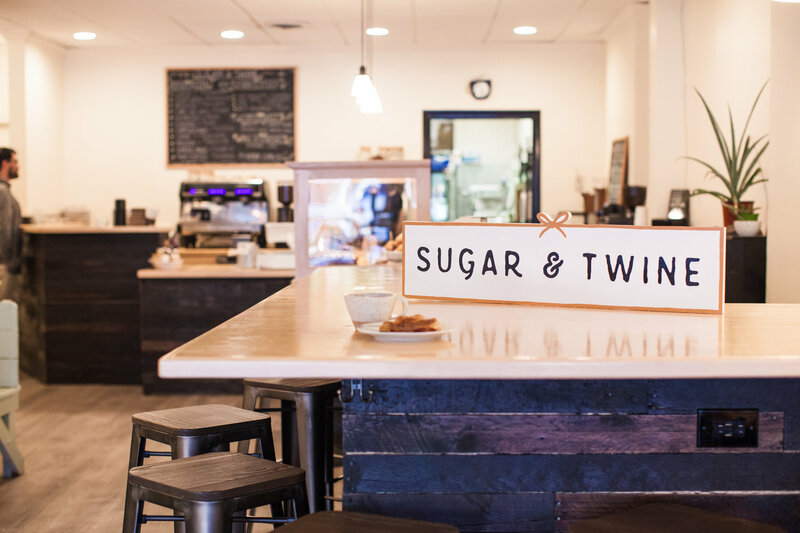 I also especially love the Sugar & Twine logo which was hand painted on the window by local sign maker Sure Hand Signs. Images via Campfire & Co. These are just a few of my personal favorites out of a huge number of awesome designs around town. Feel free to namedrop your favorite Richmond based designs or designers in the comments! Some solid designs here for sure, happy to see Scott's Addition well represented. Come check out Black Heath Meadery!! My favorite is design/branding is a tie between the VCU Institute for Contemporary and Gallary5! Some solid designs here for sure, happy to see Scott’s Addition well represented. Come check out Black Heath Meadery! !